In the past 18th of September, the SMARTAQUA team had the pleasure to welcome the Board and Executive Members of the Food Standards Agency. Mr Craig Pooley and Dr Sara Barrento did a guided tour of the aquaculture facilities at the Centre of Sustainable Aquatic Research. 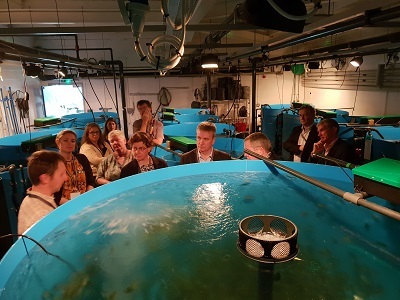 Together they showed the research brought by SMARTAQUA: aquaculture beyond food – focusing on the production of native cleaner fish, fish for biomedical research, aquafeeds and nutraceuticals. 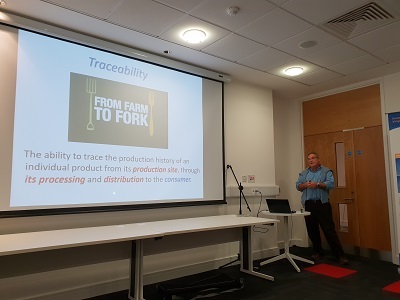 FSA members were interested in the project and curious about genetically modified microalgae and food traceability. 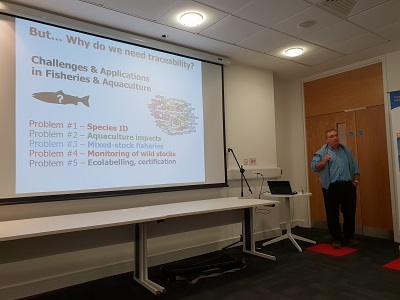 Following the site visit, FSA staff attended a short seminar where Professor Carlos Garcia gave a talk entitled Developing Better Tools for Fish Traceability. 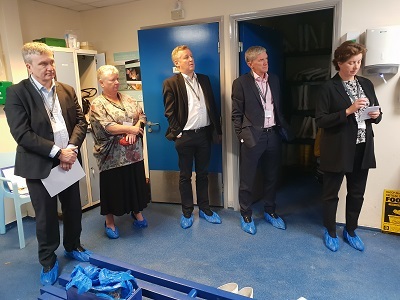 Overall, the Board and Executive felt that – “the visit was an excellent opportunity to hear about the wide research we are undertaking”.